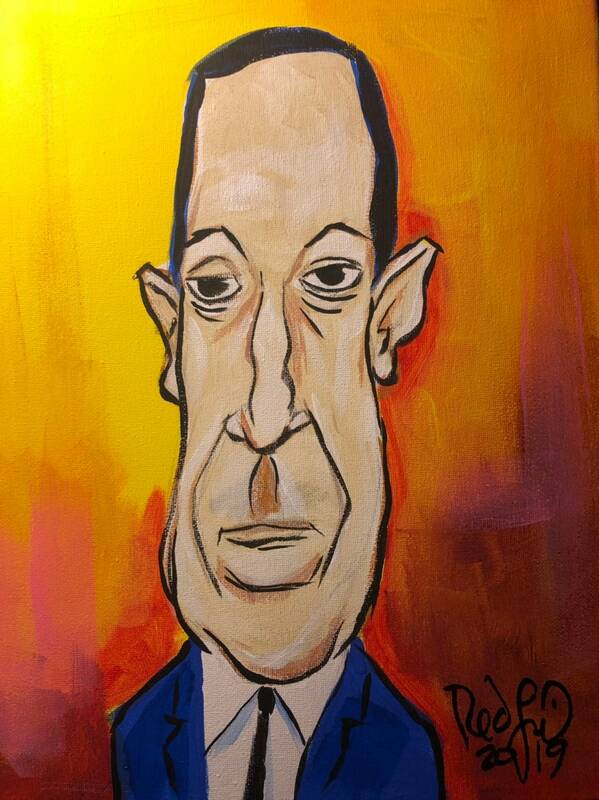 “Lovecraft” (2019) by Mark Redfield. Acrylic on canvas. 11x14. This cartoon is an original painting by the artist, and not a print or reproduction. A cartoon of the American writer of macabre weird tales and poetry. Shipping and handling fee includes insurance and extra protective packaging for shipping USPS. Sold in the U.S. only. Sold unframed. Please note : Etsy/Patterns is now adding sales tax. Thank you for you patronage! Tell your friends! Thanks for visiting the gallery and for your patronage! Commissions are always welcome!